You don’t need to fire up the PS4 or Xbox One to play games. Now, some of the best games are online. Gamers love to purchase online games from Steam. This digital distribution platform has an assortment of game options, including “World of Warcraft,” “RuneScape,” and the “Final Fantasy” franchise. 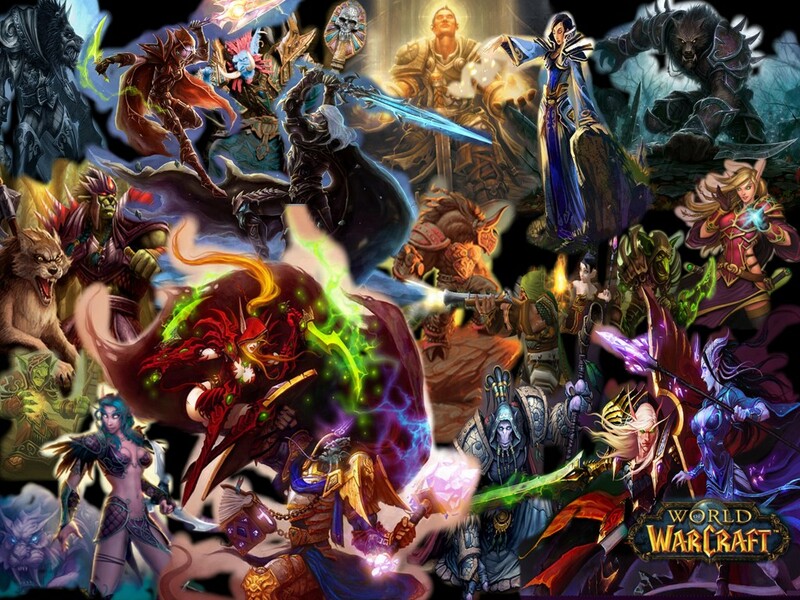 Many of the top games are massively multiplayer online role-playing games (MMORPGs). These games are different from standard shooters or roleplaying games. Instead of playing all by yourself, you play online with tons of other people. Because these games are played online, you have access to tools you don’t have on your PlayStation or Xbox. In fact, many people use a game proxy and other tools when playing these games. Let’s look at how proxies can be used for gaming, and then go over gaming bots and VPNs. Then, you will have a better understanding of what you need to do when playing games online. Many people choose to use a game proxy when playing games online. First, it’s important to understand how a Steam proxy works. Your internet service provider assigns you an IP address. Internet service providers use a range of IP addresses, and each of the customers gets one of those addresses. If you log in as normal, your IP address will display. The other server will read that address and know who you are. That is how you’ll be identified when you play games online. That little series of numbers tells the server where you are and who you are. A game proxy changes your IP address for you. The proxy is basically a middleman. You connect to it, it switches your IP address, and then you connect to the game server. Suddenly, you’re an entirely different person. You can even be in a new location. The question is, of course, why would you need to use a proxy? First, games occasionally block IP addresses. Sometimes, those blocks are completely unfair. For instance, sometimes Battle.net blocks entire ranges of IP addresses for “World of Warcraft.” If your IP address is part of that range, you won’t be able to log into the game’s server, so you can’t play “WoW.” If that happens, you can use a “WoW” proxy to change your IP address. Your “World of Warcraft” proxy will provide you with a new IP address that is outside of the blocked range. Then, you can log back into the game and play it without any issues. In other cases, your specific IP address might be banned. For instance, you might stand out on the “RuneScape” servers for the wrong reasons and end up with a ban. Then, you’d need to use a “RuneScape” proxy to get around the ban. Finally, you might want to run a bot. Bots are really popular in the online gaming world, and some gamers run them on multiple accounts. Using a proxy allows people to hide the bot activity. It doesn’t come from the same IP address, making it harder for gaming servers to detect it. Let’s take a closer look at gaming bots. So, lots of the MMORPGs include a variety of laborious tasks that you must complete to move forward. For instance, in “World of Warcraft,” you have to spend a lot of time just gathering supplies. It’s not unusual for gamers to spend hours just gathering the supplies they need to move onto the next task. Bots allow you to automate the tasks, so you don’t have to spend countless hours completing them. When it comes to MMORPGs, farm bots reign supreme. These bots don’t just farm for supplies and gather resources. They can fight mobs and do other things for you, so you can gain much-needed experience points and level up. Bots don’t just save gamers time. They also help them progress in the game at a much faster pace, and they make it easier to manage multiple accounts for the same game. While farm bots are the most popular options out there, they are not the only ones used for Steam-powered games. For instance, you can use bots that automatically lock onto the enemy’s head and land a headshot in a second. Just like other types of technology, you are only limited by what you can build or buy. You can find bots that can do just about anything, and the list of possibilities seems to grow by the day. Getting the bot is only half the battle. Bots work quickly, meaning they make a lot of requests in a short period of time. If all the requests come from the same IP address, you will likely become the victim of a bot ban. “World of Warcraft,” “RuneScape,” and other games often do bot bans and can get rid of thousands of accounts at a time. A “World of Warcraft” proxy is a workaround to this problem. You won’t just get a new IP address for your bot. You can actually set it up to split the bot and proxies up across a variety of networks. That will reduce the load on a single network and make it less likely that your bot is banned. For instance, if you have 10 accounts that you use for farming gold, you could get 10 proxies to reduce the load. Then, you can run the bot on all 10 accounts. In addition, using the game proxy will ensure your IP address stays clean. If you do get banned, it won’t be traced back to your IP address. That means you can set up a new account without any worries. Now, you have another question. Should you go with gaming proxies, or would you be better served with a VPN? Some people decide to use a gaming VPN rather than a proxy. 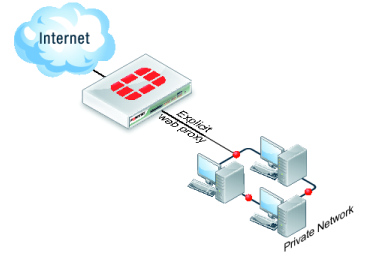 VPN is the abbreviation for virtual private network. The network also masks your IP address, but it accomplishes it in a different manner. Instead of using an intermediary, VPNs capture the entire network, encrypting all traffic in the process. That means that everything you do on your computer is encrypted, from a background app to your gaming connection. You might find yourself searching for the best VPN for gaming, so you can make use of this technology. First, though, you need to see how it stacks up to a gaming proxy. Then, you will be ready to take the next step to create an anonymous connection. If you’ve spent any time playing online games, you know lags can be a real killer. If your game lags and glitches during a fight, you will come out the loser. Lags can also hurt you when playing with others. No one wants to play with someone who can’t keep up due to lags. How do lags happen? First, gaming servers are often overloaded. That can lead to some serious slowdowns. Those slowdowns are made much worse if you have a slow connection. Unfortunately, VPNs can be a little sluggish when it comes to gaming. These networks encrypt all the data, and that causes the connection to slow down. That means you could end up with a serious lag when you’re right in the middle of an epic battle. You could even end up getting disconnected right before you gather the experience needed to level up. Proxies can keep the connection close to normal. Proxies just take a quick detour to change your IP address. That detour doesn’t take very long, so you’ll be connected to the gaming server in no time. That means you shouldn’t have to deal with many lags when using a proxy. If you’re using a VPN or a proxy, it’s likely because you’re using bots. You need to use different IP addresses for your bots and accounts, or you could end up getting banned. That creates a serious problem if you’re using a VPN. VPNs only provide you with a single IP address. That IP address won’t be connected to your ISP, so you can be incognito when you’re online. However, if you only have one IP address when gaming, the servers will be more likely to detect your bot activity. On the other hand, you can pick up as many proxies as you want. Each proxy will have its own IP address, so you can use your bot over as many accounts as you want. If you’re concerned about the servers detecting your bot use, consider using a proxy. It’s much easier to hide when you have lots of IP addresses at your disposal. Before you sign up to use a free gaming VPN, there is something to keep in mind. While your data will be encrypted, some VPNs log all activity. That means there could be a record of everything that you have done online. That is a far cry from anonymous web browsing. Proxies do not do that. If you want to truly be anonymous, a gaming proxy might be the better option for you. You won’t have to worry about anyone selling your data if you use a private proxy. You also have to consider setting up the connection. Proxies are relatively simple to set up. You buy your proxies and then just input the information into your web browser. Then, you can browse the web anonymously, just like that. Setting up a VPN is a little more difficult. You have to download the application and then set it all up. This can be a bit frustrating if you aren’t used to setting up new applications. If you want to protect your identity when playing Steam-powered games, a game proxy or VPN is needed. While both will protect your identity, there are advantages to using a proxy. These advantages include faster connections and easier setup. Plus, you have access to as many IP addresses as you want. Now that you know what you need, it’s time to get started. Gather up the tools you need and add them to your computer. Then, you can enjoy all the gaming you want while hiding behind a new IP address.